Intelligent frictin type banknote counter. Excellent counting performance for old series of notes, dirty and soiled notes. compact body with a new design. - Automatic adjustment for note transparency. - Free/batch count selectable with 10-key or at any number, 1 to 999. - Intelligent Error Message Display. - Auto/manual start & restart. - Self-diagnotic system for easy maintenace. - Remote display for customer's convenience(option). 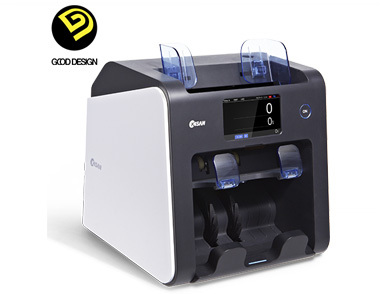 - Easy programmable density levels for counting different currencies. Feeding type Roller friction type. Stacker capacity 200 notes approx.